A week in the life of a music: journal from a poet in London. 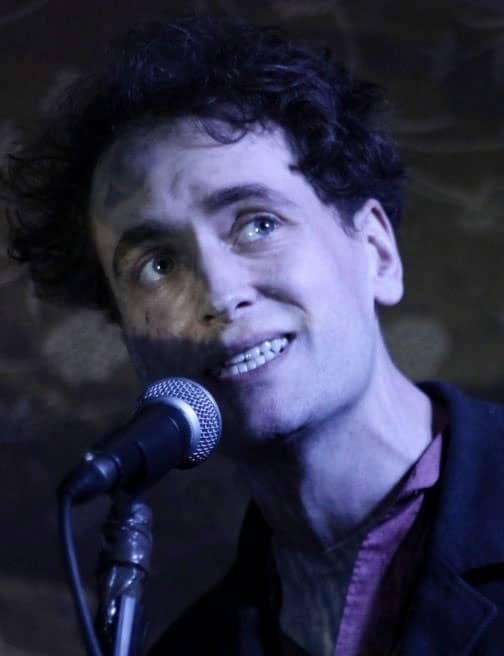 Poet and saxophonist Alabaster dePlume (Gus Fairbairn) is in the capital, giving a performance in a different venue each night. At the risk of betraying a flamboyant innocence, he takes the opportunity to ask how, in the current climate, in this town, a performer manages to exist, and why. With live performances, interviews with practitioners, music, stories and on-subject-confusion, this is a sincere journey captured by a dedicated underground artist. Acute observations, questions and chance occurrences accompany fresh, vibrant performance and human interaction alike, for a brief, touching review of life on and around the stage. Serialised in eight parts weekly on the Debt Records radio show and also available to stream.